Whether you are new to Yoga or Pilates or have been practicing for some time we have created this question and answer category to provide some useful information and tips relating to both. Yoga is globally popular as a form of exercise for mind and body health which can help you lead a healthier lifestyle. Whether practiced in a group or in a personal training 1-2-1 session you can build up your knowledge and experience of yoga gradually with different poses and different techniques. 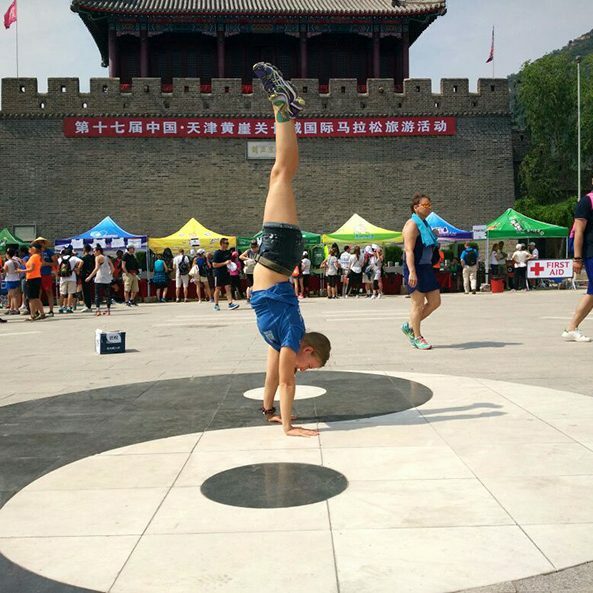 Yoga is great for kids too whether in a group class or with the family. Pilates is similar to yoga in some aspects but it places more emphasis on the body’s core such as the abdomen, thigh areas, lower back and obliques. Pilates is great for flexibility and building strength too because you use the body’s own weight for increasing strength and muscular endurance instead of using free-weights and exercise equipment. 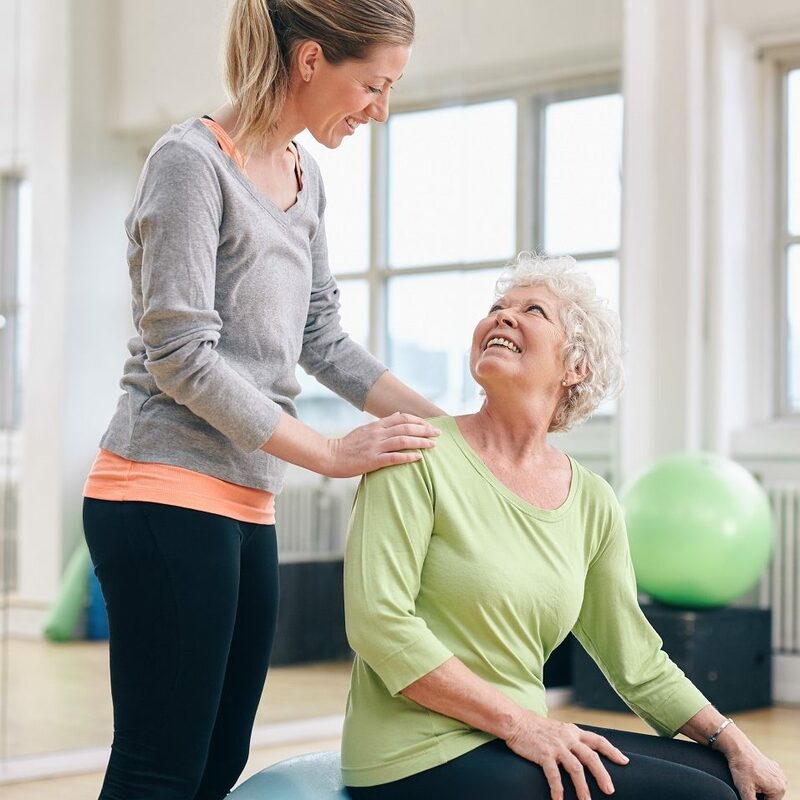 Many people with back related problems also benefit from Pilates exercising in combination with using the services of a qualified Pilates ‘reformer’ personal trainer in the UAE. Yoga can be practiced by anyone of any age in Dubai, Abu Dhabi and Sharjah but are there any specific benefits to men’s health in the UAE? Yoga For General Fitness In Abu Dhabi - Which Yoga Style Is Best? Is there a style of Yoga that is considered best for general fitness? 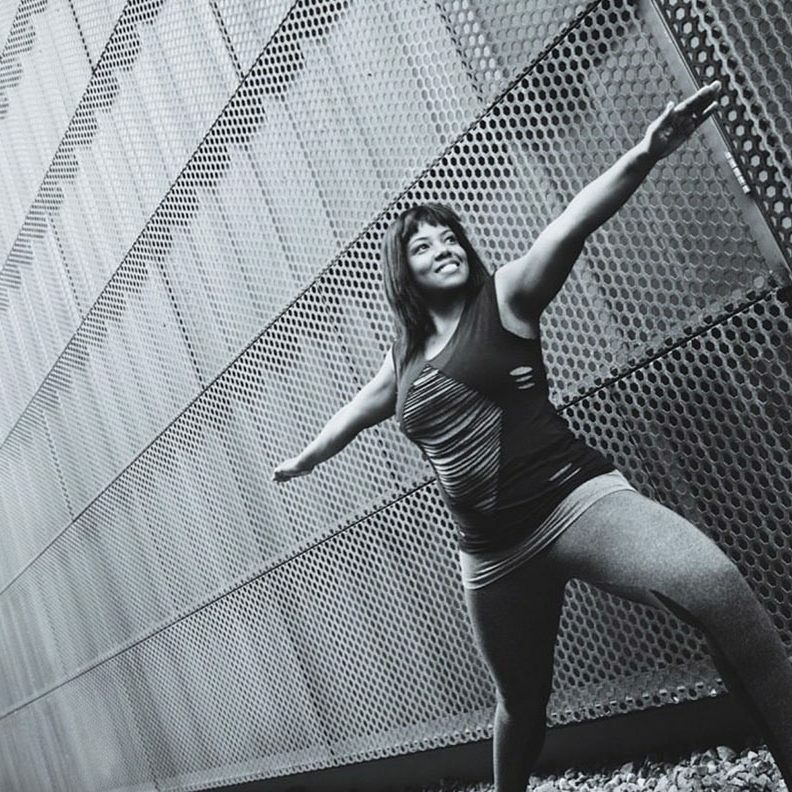 We asked a professional female Yoga Coach From Abu Dhabi for her thoughts on Yoga and General Fitness. Yoga For Arthritis Relief In Dubai - Does It Help? Can Yoga help seniors with the pain and discomfort of Arthritis in the UAE? We asked a professional Yoga Coach in Dubai for his thoughts and tips. Thinking about learning Yoga in Abu Dhabi or Dubai? You might be confused about the best way to learn. Is personal training (1-2-1 coaching) for Yoga or attending a group Yoga class best for you? Do you find the thought of doing Yoga in Dubai, Abu Dhabi or Sharjah a bit confusing because there are so many Yoga poses? This quick and effective Q&A gives some great tips on easy Yoga poses for Yoga beginners in the UAE. Being Pre-Natal doesn’t mean you need to stop exercising. In fact the opposite is often true. The way you exercise might need to change and Yoga for pre-natal women in the UAE could be the ideal choice for you. Whether it’s from sitting for long periods at work or just the general strain of everyday life back pain is something most of us will suffer from at some point. There are ways Yoga can help. Professional Yoga PT in Abu Dhabi Leila gives us some tips on the best yoga poses to hep with back pain. Posture Problems? How Can Yoga In The UAE Help? Many people in the UAE suffer from posture problems whether it’s because they are seated all day at work or other every day causes. Can Yoga in Dubai, Abu Dhabi or Sharjah help? Read the full Q&A for more information. Pre-Natal Yoga In The UAE - Can it help with back pain? 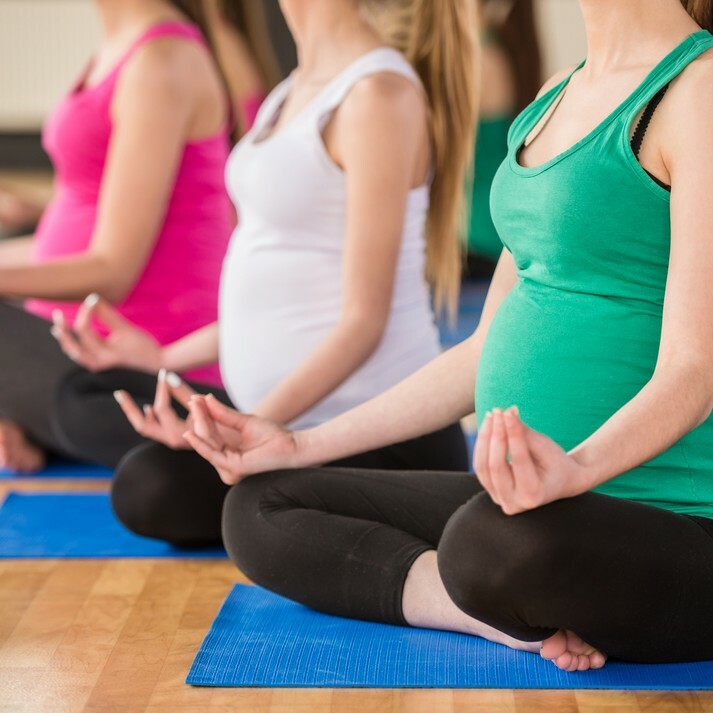 More and more pre-natal women are choosing Yoga as a low impact exercise method when pregnant but can doing Yoga regularly help with pre-natal back pain? Read the full Q&A for more information. Yoga For Children - Does It Help With Stress? 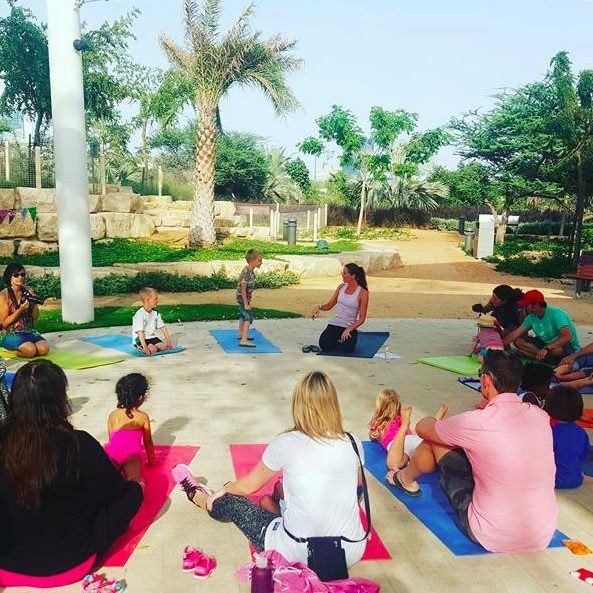 We know that Yoga can be a great stress-busting option for adults but can Yoga in the UAE also help children who suffer with the stresses and strains of modern life in Dubai and Abu Dhabi? If you already play or you are thinking of taking up tennis then adding Pilates as part of your fitness regime can really help you get and stay flexible as well as reduce the risk of injury. Id you suffer from sleep related problems in Dubai or Abu Dhabi you are not alone. Sleep problems are caused by so many things including stress. Can Yoga help you get a better nights sleep? 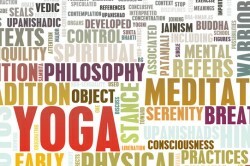 Many people think so and are using Yoga as an alternative to sleep medications. How can you stay flexible and mobile with age? Many seniors in the UAE are now looking at different exercise methods which provide better benefits while being gentle on the body. 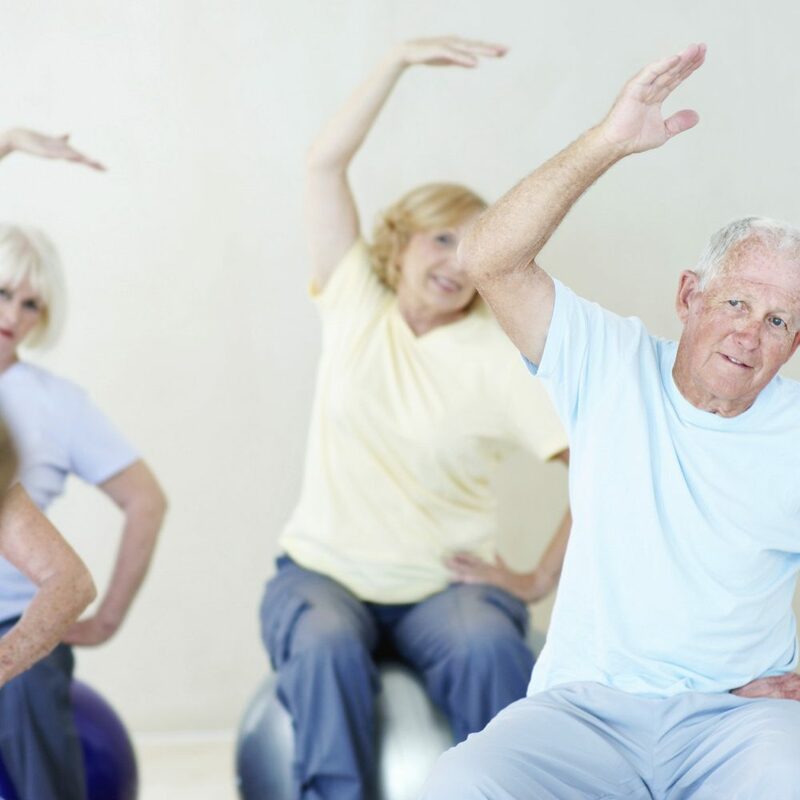 Pilates for seniors in Abu Dhabi, Dubai and Sharjah is a great way to add some regular exercise for the elderly. Using Yoga as a method of Detox in the UAE - Does it work? 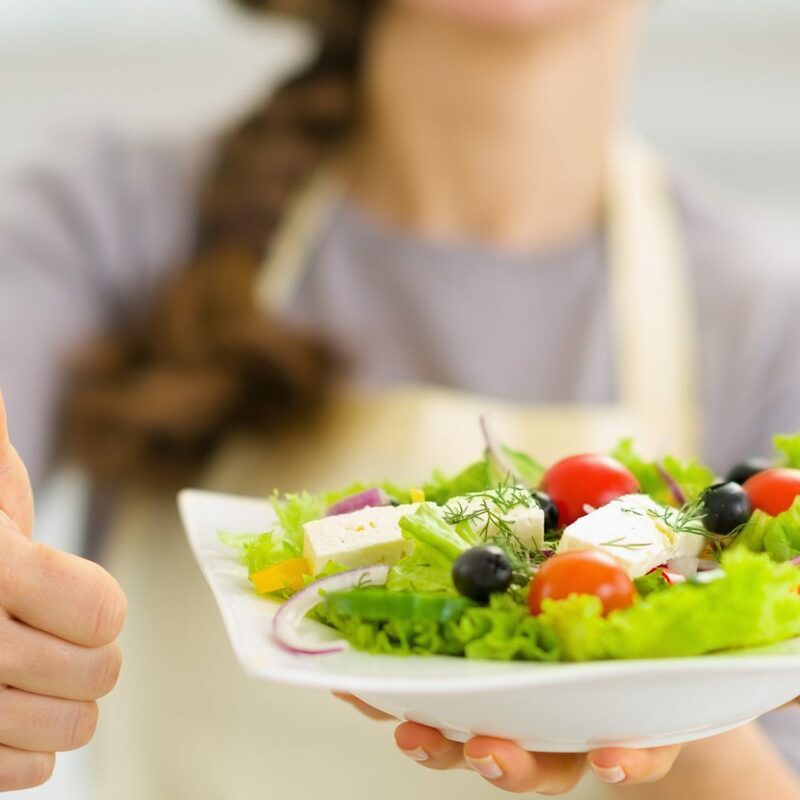 Are you looking for different ways of doing a detox in Abu Dhabi, Dubai or Sharjah? Did you know that doing Yoga regularly helps to naturally detox the body of toxins. Read the full Q&A to find out how. Yoga - Which Style Is Best For Beginners In The UAE? You’ve heard about the great health benefits Yoga can provide for body and mind and you’ve decided to try it out. But, with some many different styles of Yoga training being offered in Dubai, Abu Dhabi and Sharjah which one do you choose? It can be confusing but advice from a professional Yoga teacher in the UAE is a great place to start your Yoga journey. Pilates is great for many things including posture, flexibility and muscle toning. If you have back problems or strain in the UAE Pilates can help you get back on your feet sooner and also reduce the risk of reoccurence. Taru, a female personal trainer in Dubai explains how and why. There are many different styles or ‘forms’ of Yoga to choose in the UAE. Power Yoga might be right for you. Whether you suffer from stress due to work or other commitments taking some time out (me time) to practice Ashtanga Yoga can do wonders for your mind and body. 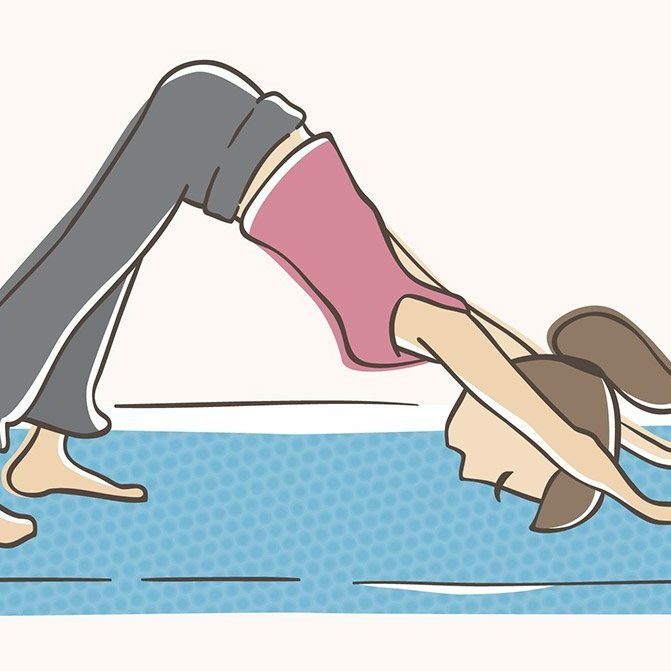 Having a strong ‘core’ can help you not only with Yoga but with other elements of fitness. In this Q&A professional yoga trainer Leila explains the different ways we can use yoga to strengthen the core. You don’t need to be young, super slim or extremely flexible to enjoy the many benefits of Yoga. This applies to seniors and the elderly in Dubai and Abu Dhabi too. In this Yoga Q&A session professional female yoga personal trainer in Abu Dhabi Hollie provides some basic insight into yoga for beginners. 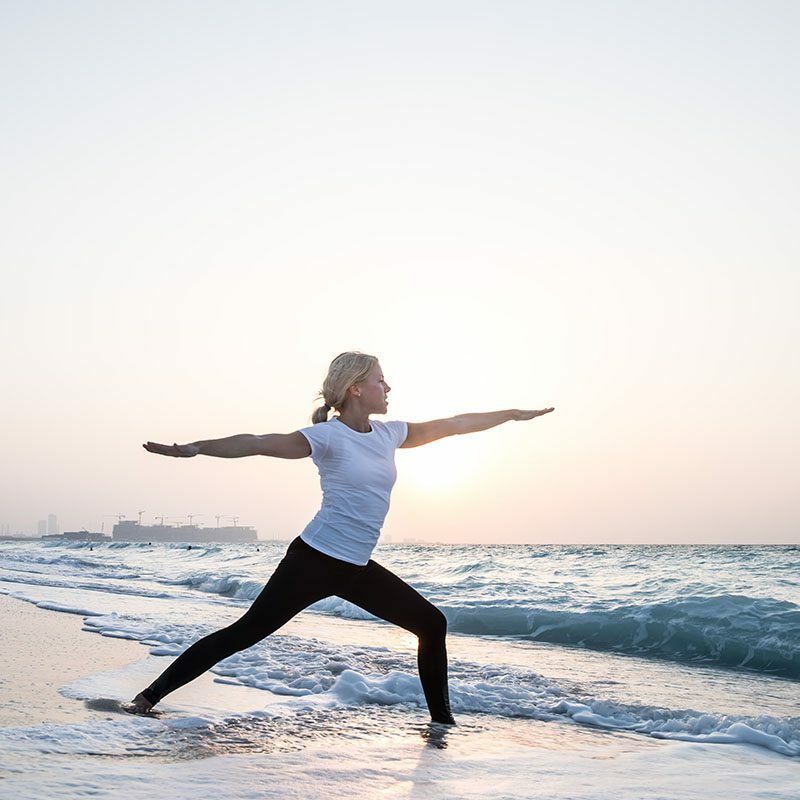 Expert Yoga personal trainer Leila Knight provides the answers to popular questions about Vinyasa Yoga in the UAE and how it can benefit the health, fitness & lifestyle of adults and children. When we talk about Yoga the most popular form (and there are many forms or Yoga) is Hatha Yoga but is this style suitable for you? 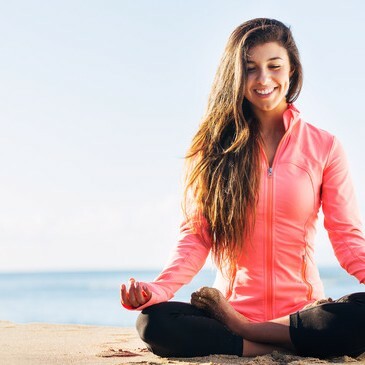 Hema D’Souza, a professional Yoga personal trainer and instructor in Dubai answers some of the basic questions about Hatha Yoga, its benefits and its background. Being pregnant and giving birth puts a huge amount of stress on the body. The body also goes through numerous changes during and after childbirth. Can prenatal yoga help? According to Dubai based yoga personal trainer Hema it can provide many benefits.